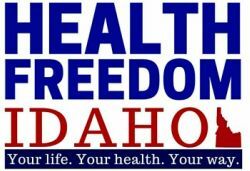 Idaho &quot;Freedom Blue&quot; Health Plans Coming Soon? HomeunderwritingIdaho "Freedom Blue" Health Plans Coming Soon? Vox.com has released some details about Idaho Blue Cross' plans for new, non-ACA health insurance plans. As mentioned in my blog post of February 1, Blue Cross received legislative approval to offer skinnier and less expensive health insurance plans to individuals & families. There will likely be issues between Idaho and the federal government.